Thermal tape adhesive can satisfy thermal conducting and cooling needs for high-end electronic products. At low cost solve the problem of both good heat dissipation and strong stickiness, and help improve the lifespan of electronics. Thermal conductivity and high stability, its life than the general heat double-sided stickers long, normal temperature (80-120℃ ) can work for a minimum of 5 years. 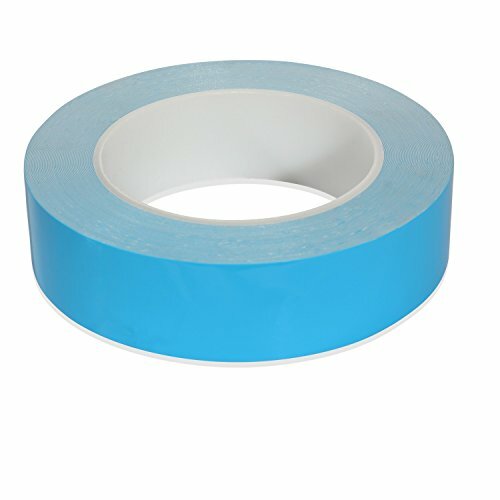 1.When using thermal conductive double-sided tape, keep the adhesive surface clean and dry. 2.After tearing off the heat-conductive double-sided tape to peel the paper, double-sided thermal tape is evenly pressed with your fingers (just a little strength). 3.The viscosity of the heat-conductive double-sided adhesive tape have initial viscosity and persistent viscosity, and at room temperature, it takes 72 hours to achieve the maximum adhesive strength. That is, at the beginning of the sticky adhesive that is the initial viscosity to 40% of its maximum viscosity, persistent stickiness is stable over time. 4.In the paste process, the appropriate heating (60 ~ 70 ℃), will greatly contribute to the effective increase in the area of adhesive, and as soon as possible to achieve maximum adhesion. In the lower temperature of the winter, it's little tips that heating to increase the viscosity of the heat-conductive double-sided tape when using the thermal conductive tape. Double sided thermal tape have both good thermal conductivity and strong stickiness, which solve heat dissipaion problem for many electronicsat at low cost . The thermal conductive tape make the aluminum heat sink and any device surface bonding ,like for IC chip , high power LED, to achieve replaced screws-fixed, thereby achieving the most effective heat dissipation. The themal tape is good choice for high power LED,automotive electronic heating module, motor controller, communication equipment, power semiconductor, MOS tube, power tube, IGBT chip, high voltage, high power welder, display, computer, Video Card RAM, Memory Modules, SSD drives, solar,so on. If you have any questions about this product by BEEVIVO, contact us by completing and submitting the form below. If you are looking for a specif part number, please include it with your message.